People know a political party by its logo or symbol. But political parties choose their logos strategically to convey their ideology and message. These logos too are stunning designs. In fact, many political logos are better designs than many business logos. Political parties build their brand identities with the help of their amazing logos. If you always think that logos are only meant for companies or businesses, it’s time you think again! All the political parties fight elections on their party symbols, which are actually logos. There is, in fact, a long list of political party logos. But why do these parties need logos? Logos are the visual tools to represent a political party’s ideology, mission, vision, and personality. These logos are also helpful in efficiently connecting with voters. Many political consultants and analysts strongly believe that political logos can make or break the image of a political candidate! Traditional political logos usually had some wavy lines along with a candidate’s name in different fonts and flashy colors. There have been dramatic changes in the style and design of political logos over the years. Still, some logos have remained the same. The standard colors used for American political logos are usually a fine blend of red, white and blue colors. These colors still retain a prominent place in US political logos as they represent the American flag. These colors evoke the feelings of patriotism. 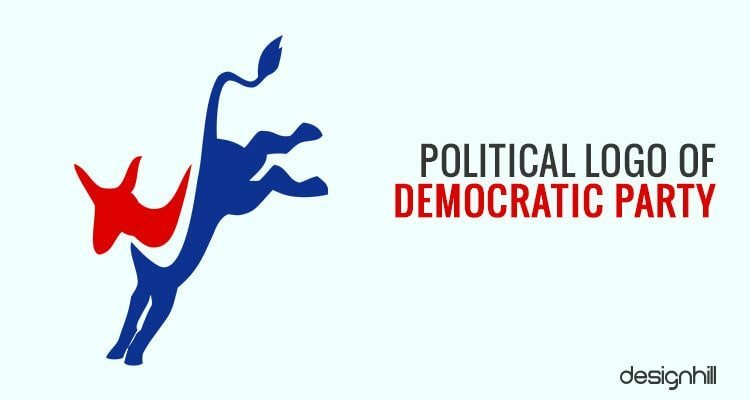 The U.S Democratic and Republican political parties have logos that do not make a sense. For example, Donkey is the logo of the Democratic party while Elephant is that of the Republican party. But these logos are acceptable to the public because of some tradition associated. The American Democratic Party is one of the prominent political parties in the USA. Its logo features a donkey symbol in red and blue. The logo design has a swoosh symbol that has been created by negative space technique. The swoosh represents the movement and flexibility of the party. Furthermore, the donkey symbol in the logo has been shown kicking back. This represents how the party is focused to kick back the loopholes of the established system. All in all, the American Democratic Party logo can be interpreted for a message. 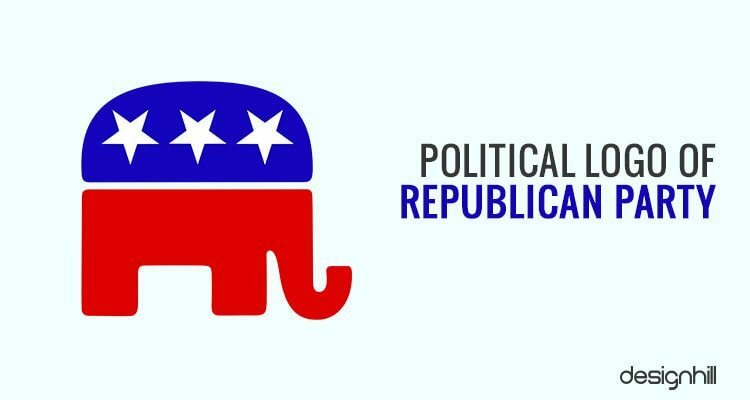 One of the most interesting political logos is the American Republic Party’s popular elephant symbol logo. This logo also uses red, white, and blue to evoke patriotism. The elephant symbol is in a square shape to represent the authoritative policies of this party. In addition, the logo also features stars taken from the American flag. On elephant’s back in order to symbolize the American dreams and the inspiring ideology of the party. This is one of the finest examples of the use of symbols in creating logos. The Libertarian Party promotes civil liberties, free markets, and laissez-faire capitalism. The party boasts of an elegant logo design. The party has never won a seat in the United States Congress. But it has seen electoral success in state legislative owing to its very powerful and symbolic logo. 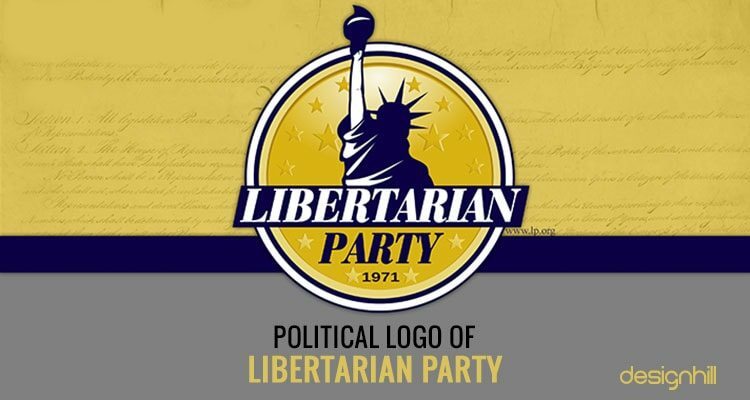 The party’s logo brilliantly reflects its high standards and ideology by using The Statue of Liberty as its symbol. The logo uses creative typography and unique color scheme. The gold color in the background stands for prosperity and hope while dark blue color evokes the feeling of patriotism, peace, and friendliness. The Green Party of the United States (GPUS) is the primary national Green organization in the country. It promotes environmentalism and social justice with policy principles. The party advocates nonviolence, participatory democracy and grassroots democracy, gender equality, and anti-racism. 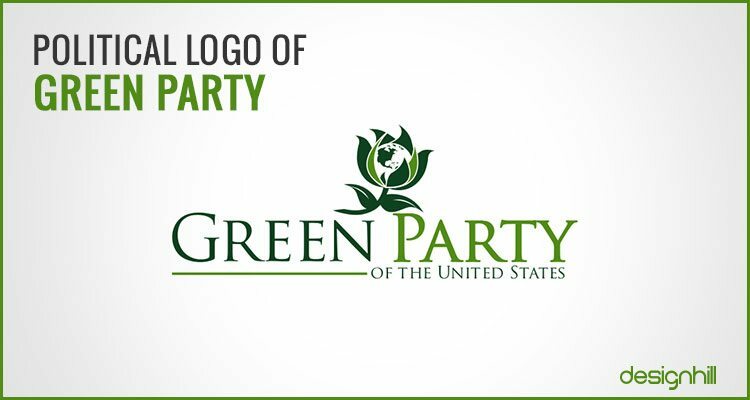 The party’s inspiring logo reflects its vision with a brilliant green color palette. The logo is surely a great help in running a political campaign successfully. The use of serif typeface stands for the party’s commitment toward its values and mission. The logo features a planet blooming within a flower as a representation of the party’s idea of environmentalism. 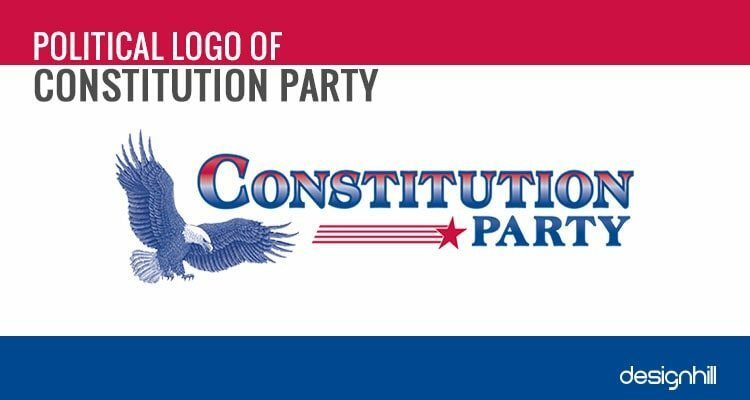 The Constitution Party is a far-right political party in the United States. This religious party believes that the United States of America is primarily a Christian nation founded on the basis of the Biblical principles and ideas. 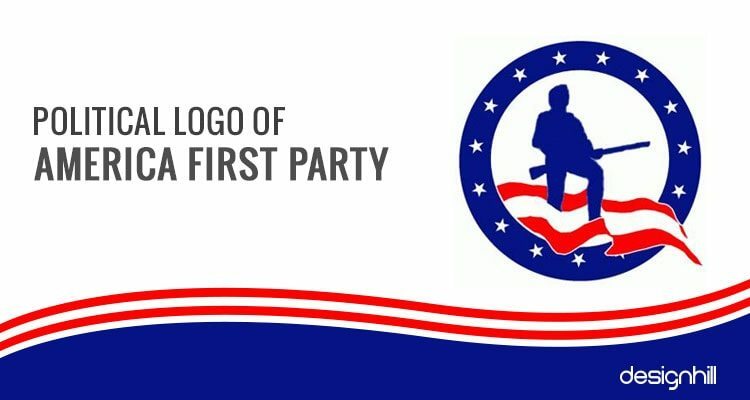 The party logo uses graphical elements that are deep-rooted in the traditional American culture such as the bald eagle, stars, and blue-red color. The definitive rectangular shape stands for the party’s dedication to its ideals. The serif font brilliantly complements the logo symbols and lend a conventional feel to it. The Socialist Party USA (SPUSA) is a democratic socialist party and is officially committed to left-wing democratic socialism. The party focuses on the civil rights. 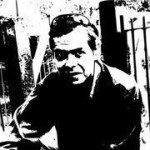 It has been working for a socialist economic structure of the country. The party’s globe logo with clasped hands of people from two different ethnicities represents party’s goals of social unity and equity. 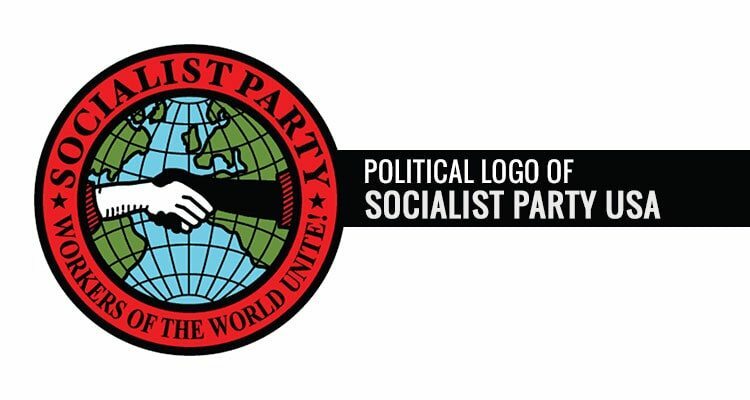 The Socialist Party logo is an example of how to create an effective logo design that stands out in the crowd. Surely, such a fantastic logo is one of the key tips for promoting an election campaign. 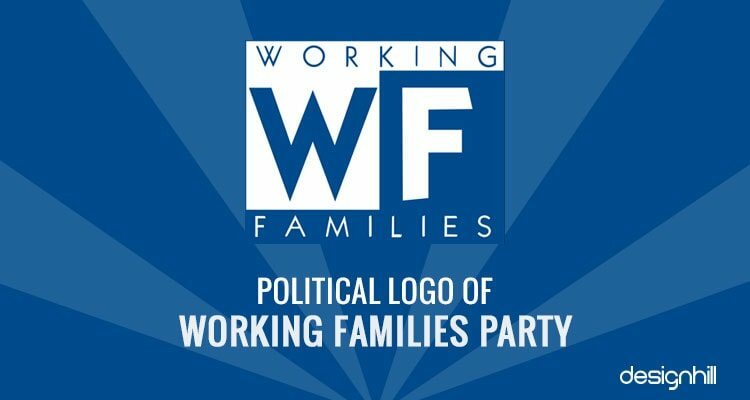 The Working Families Party (WFP) is a minor political party in the United States of America. The party focuses on issues such as creating jobs, healthcare, student debt crisis, public education, and energy/environment reform. Dark blue and red are conventional colors in political party logos of America. But the use of sky blue and white colors makes WFP logo unique. This logo stands out from the crowd. Notice the typeface used in the logo. The designer used bold letters to highlight the party’s family agenda. Selection of right design fonts is essential for conveying a message. 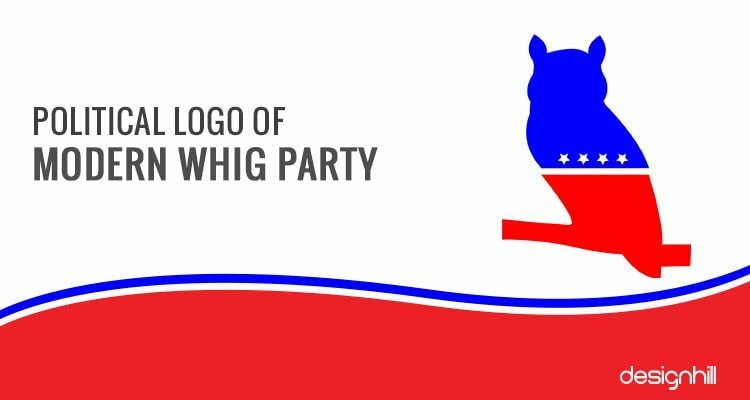 The Modern Whig Party is a political party that claims to be a middle ground between the mainstream Democrats and Republicans. The party advocates issues such as fiscal responsibility, strong national defense, and state’s’ rights. The party logo uses the traditional symbol of an owl and conventional colors red, white, and blue of the U.S flag. This is one of the most animal logo designs to evoke emotions. In the logo, the symbol of an owl is half blue and half red colors. A white line dividing the two colors to symbolize that the party is the genuine middle ground between mainstream parties Democrats and Republicans. The main agenda of the America First Party is that the United States must end all labor treaties and wars with other countries. To convey this message to the voters, the party logo is in a circular shape that is symbolic of fulfillment and completion of a job. A man carrying a gun is for the party’s commitment to defend its ideology and nation from within. 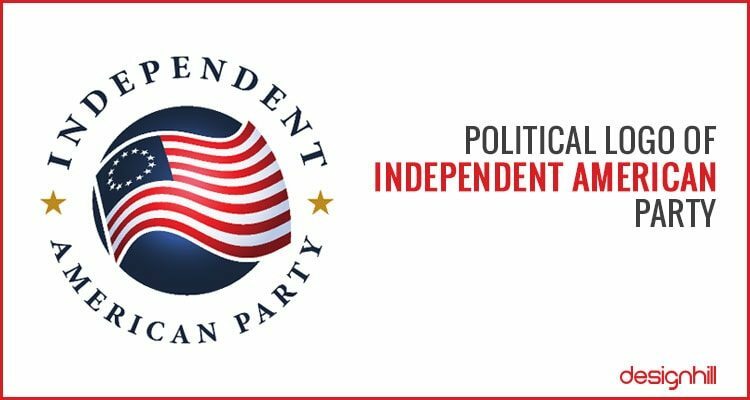 The Independent American Party (IAP) promotes issues like respect for life, liberty and property; strong traditional families; patriotism; and individual, state, and national sovereignty. Its circular logo features the American flag to evoke the feeling of patriotism. These are some of the inspirational political logos that give you an idea of how such logos are created with a professional touch. This is a unique logo. Make sure that you avoid creating a cliched logo design by graphic design jobs. If you are interested in having a glance at more such motivational political logos, we have some examples of them from Designhill. This is a leading graphic design platform where business owners meet their design requirements easily. The platform maintains a community of talented graphic designers who are expert at logo designing. Have a glance at two inspirational political logos designed by Designhill. 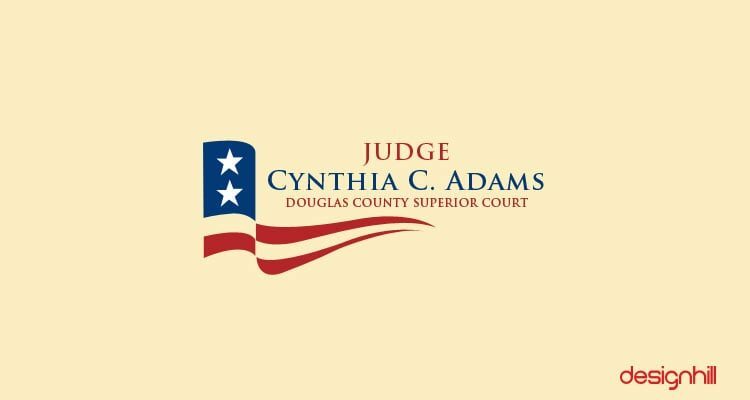 The client asked the designers to create a logo for a judicial campaign in Douglas County, GA, USA. The election is to be held in the year 2018. As per the design brief, main target audience of the logo is public votes. The client received many design entries in response to the logo design contest at Designhill and this above logo was picked by the client for the campaign. This winner logo design has conventional elements of stars, red & blue as prime colors and a waving flag symbol that represents american flag in its true spirit. It is a simple yet effective logo and has used patriotic colors effectively and the font used is clear and professional. This is the perfect way to create a logo design. 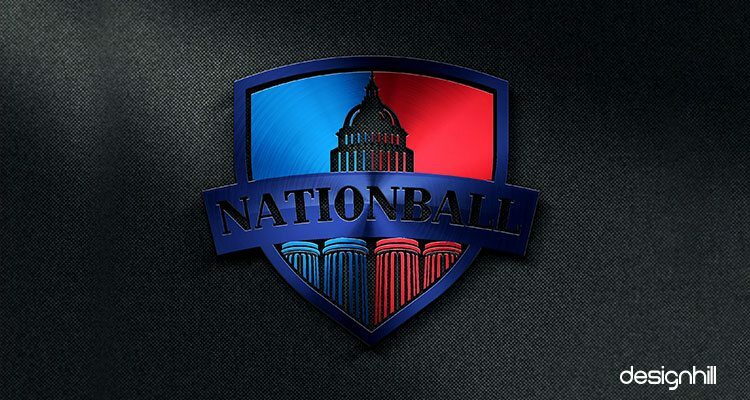 For this logo, the client had briefed that it should be a combination of sports and politics. The organization caters to politically savvy young customers who would participate in a fast-paced online marketplace such as fantasy sports and prediction markets. So, the client wanted a logo that reflects the message ESPN meets C-Span. This design won the contest. The winner logo is in the shape of a shield, representing sports. The White House stands for politics whereas colors chosen for the logo are conventional blue, white and red from American flag. All of these elements create an environment for politics and sports in the logo. This helps in conveying the client’s message to target voter public in a succinct way. Political logos are also as good graphic designs as business logos are. 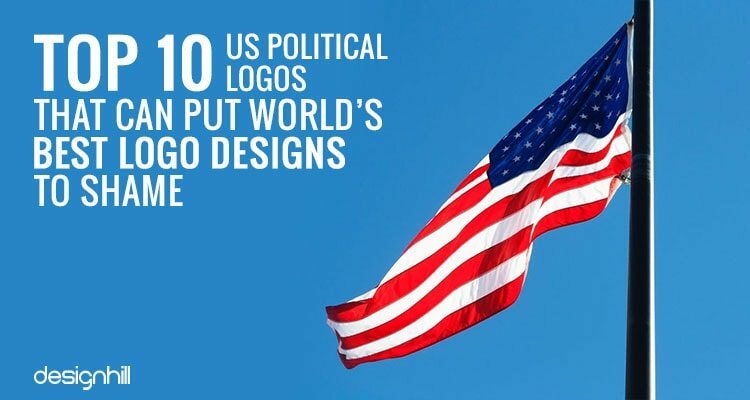 These logos from US political parties are unique despite the use of conventional red, blue and white colors from the U.S flag. Most of the logos use some symbols to convey a message to voters.